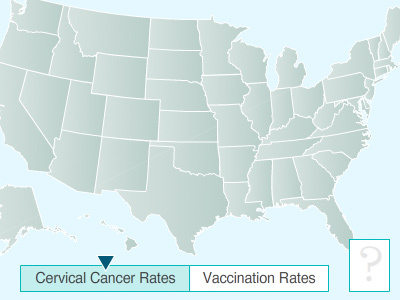 The following is a sampling of surveys that contain questions about HPV vaccination and/or cervical cancer screening. The list below includes information on what populations are surveyed and a website to look for more information on the surveys. A national sample of men and women age 15-44. REACH – Racial and Ethnic Approaches to Community Health Across the U.S. Currently, the public use data file for the NSCH has state identifiers and a binominal variable identifying children living in the metropolitan statistical areas (MSA) with greater than 500,000 persons in each state. This indicator is suppressed whenever the population for the MSA or non-MSA area is less than 500,000 persons. Let us know about additional national survey resources that you think we should list.